Going on vacation can be fun and relaxing, but it can also be expensive. What do you do something comes up that prevents you from taking your trip at the last minute? What if there’s a medical emergency, a significant flight delay or your luggage is lost? That’s where travel insurance can help protect travelers and the money they invest in their vacation. Berkshire Hathaway Travel Protection (BHTP) is one of the companies offering such financial peace of mind. “Your vacation is an investment, protect it,” said Carol Mueller, Vice President of Berkshire Hathaway Travel Protection. She spoke to RewardExpert about the benefits of using the company for your travel insurance needs. Mueller points out that only an estimated 25 to 30 percent of U.S. leisure travelers purchase travel insurance. “The likelihood of travel mishaps are too high not to stay protected, and let’s face it, no one is immune to a travel mishap,” said Mueller. BHTP offers insurance for all kinds of vacations, including ski trips (for protection against injury), cruises (for the possibility of missed connections due to delays), senior travel, last-minute travel, budget travel and more. BHTP insurance protects against all sorts of potential travel mishaps. These include medical emergencies for the traveler or a family member who is not traveling, protection due to lost baggage, a significant flight delay or even accidental death. Coverage extends before a traveler leaves, to incidents during the actual trip itself. Mueller said the most common claim is a cancellation due to a medial reason. The second most common claim is a medical emergency that happens on foreign soil. “Many U.S. consumers just blindly assume their health plan travels everywhere they do. You need to do your research,” she stated. BHTP offers different levels of coverage, including ExactCare Extra, ExactCare, ExactCare Value and Aircare. ExactCare Extra offers the highest level of coverage, which combines immediate travel inconvenience benefits payments with the traditional suite of coverage. Mueller points out that BHTP is the first travel insurance company to launch such a product. The ExactCare option, which includes the traditional benefits without most airfare protection at family-friendly pricing, is currently the company’s most popular product. ExactCare Value is a full-featured travel insurance plan that offers savvy travelers bundled travel insurance coverage for more low-cost, discounted travel. Aircare offers flight protection against canceled flights, missed connections, lost luggage and more. All plans include 24/7 global travel assistance. BHTP’s claims process works fast and easy, no matter where the traveler may be located. Mueller points out that, thanks to technology, the traditional mailed check payment method is long gone for BHTP customers. Instead, the BHTP Burst platform can pay claims in as little as seconds. “We’ll pay via an automatic bank deposit, to debit card or even to a PayPal account giving today’s consumers more options. BHTP will also take most claims initiated with its pic-and-a-click filing process, eliminating the long claims forms many others require,” said Mueller. Also helpful while filing a claim is BHTP’s fixed claims process. This means the company will pay up to a certain amount for a specific incident, with no receipts required. For instance, lost luggage will result in a $500 reimbursement for ExactCare Extra members. 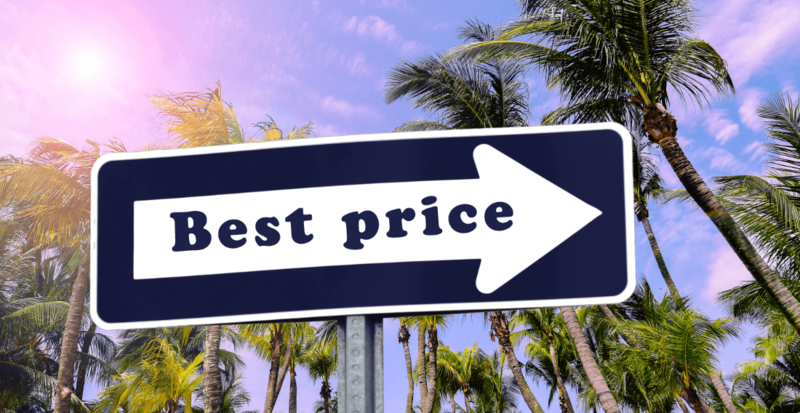 So here’s a key question: What does travel insurance cost? Getting a quote on insurance prices is easy. BHTP offers several ways to get a fast quote, including mobile apps, their website, or by calling or emailing. Besides individual travelers, BHTP helps protect travel agents and their business, including E&O (errors and omissions) insurance. BHTP’s E&O coverage includes the company’s exclusive Booking Protector, which covers the company’s customers 24/7 and preserves their right to file a claim. Before you take that dream cruise, ski vacation or trip to a foreign land, check out travel insurance. If something happens, you’ll have peace of mind and still have money to go again. Check out bhtp.com for more details.